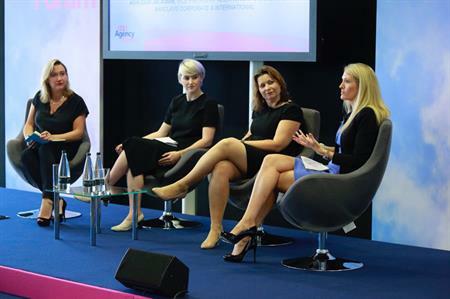 Going over budget and poor research are the biggest pitfalls in agency pitches, according to a brand panel featuring speakers from Roche, L'Oreal, ITV and Barclays. At C&IT’s Agency Forum, which kicked off today (3 August) at London ExCeL, Alison Williams, head of events at L’Oreal moderated the panel session which discussed both pitching pitfalls and what makes a winning agency. Williams said budget is a major sticking point. "If something comes in over budget I’m not interested in it. It’s so important to stick to the budgets or it won’t be considered." Sally Holt, senior project manager at ITV Events, agreed that going over budget could be off-putting for a corporate client, and that it was crucial that agencies worked creatively within the agreed budget. "We want to see what you can do within the budget. If agencies feel there’s a real issue there, that it’s not possible to do the event on that budget, then they should come to us beforehand and discuss it." Emma Chandisingh, head of events and engagement at Roche said they don't provide a budget in pitches, which she admits is probably frustrating for agencies. "I find if we put in a figure, we are usually given something that comes in £1 under that. I would love to know the gold, silver, bronze options. Sometimes it’s good to have every option on the table to help you make a decision. For something really amazing, we might be able to find more budget. We have an overarching budget so do have the option to move funds around." In addition to budgets, understanding both the brand and the event objectives is integral to agency success, with lack of research cited as a huge turn off. "For us research is really important," said Chandisingh. "As we work in the pharmaceutical industry, we have a huge amount of codes to understand and abide by. It’s a really important part of research that people understand that. "For example, we can’t hold events in sporting venues. If someone came to me and pitched Wembley as a venue, I’d immediately switch off as it shows they haven’t properly understood the brand." She added that on some occasions, agenices had pitched without knowing how to pronounce the brand name correctly and without understanding how events should be run. "It's so important to get the details right." Many companies have more than one brand under their central banner, and agencies can't expect to use a 'blanket pitch'. "We take our brand policies seriously," said Ashleigh Jackman, vice president of relationships and events at Barclays Corporate and International. "We aim to provide as much information as possible on our brands to our suppliers. We have a website describing every detail of every brand, every logo etc. But if agencies have any questions, whether it’s about the team, the brand or the objectives, they should consult us first."